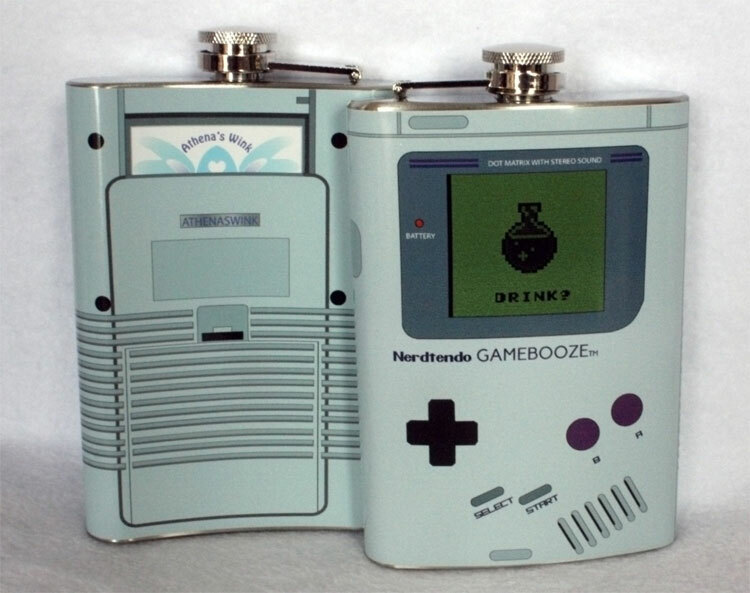 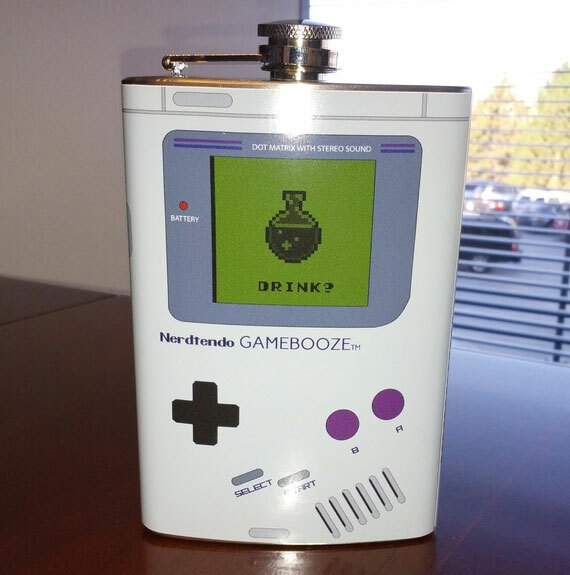 The Nerdtendo Gameboy Flask is a flask that looks just like a Gameboy and when in use at a sporting event, concert, or LAN party, everyone will just think your kissing your Gameboy as any loser who looks like you would. 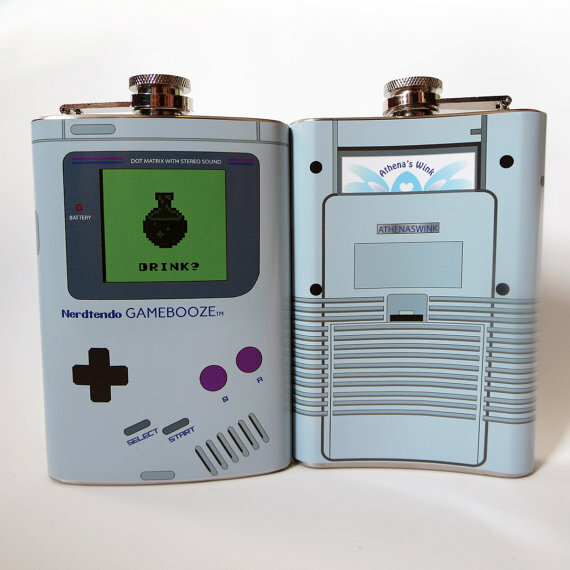 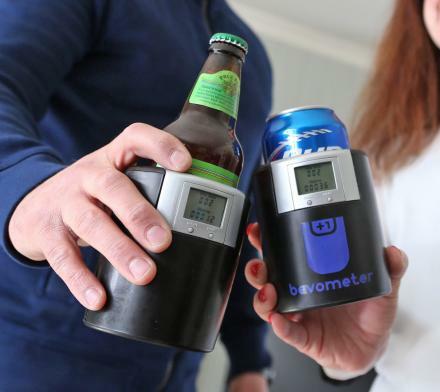 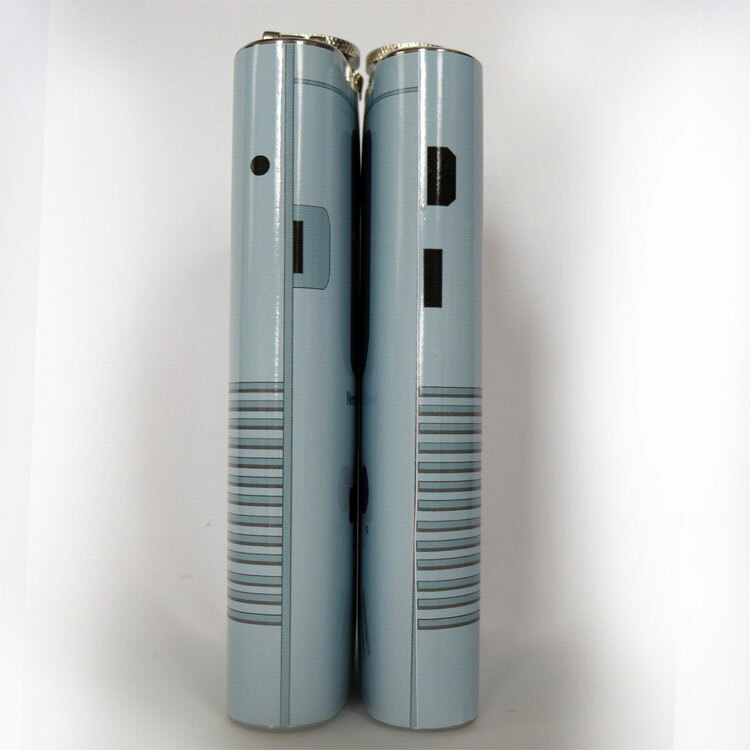 The Gameboy flask is handmade from a stainless steel flask with a vinyl wrap around it using strong adhesives that attach all the way around the flask. Custom add ons and designs on the Gameboy flask is just another $5 added to the total.